Most people have preconceived ideas about places to which they are traveling; I know I did about Austin. Most of them were shattered and I couldn’t be happier. Austin was beautiful and green. I was shocked to see so much greenery; I was expecting desert. I was also expecting an old-fashioned Western town by a river; like Old Town Sacramento. Yes, there are some old buildings in Austin, but they are built side-by-side and blended beautifully with new modern skyscrapers. 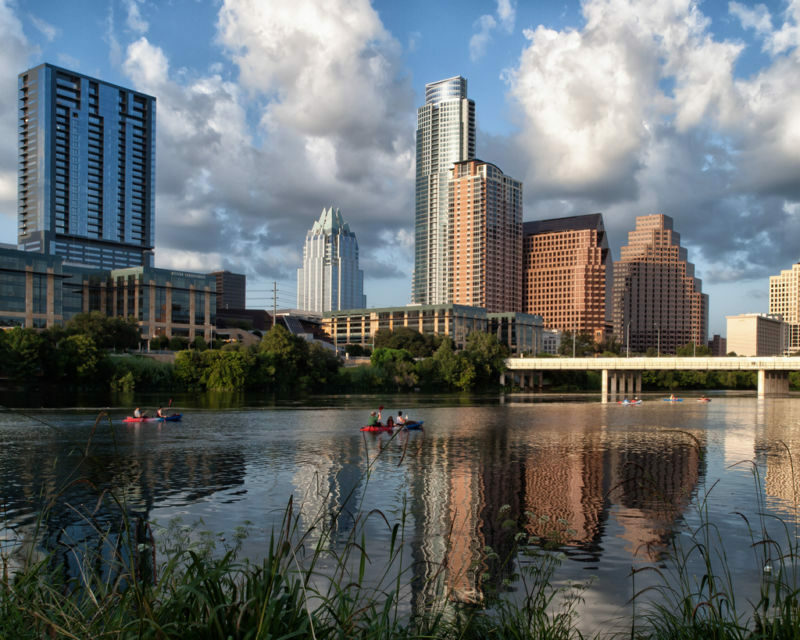 The food scene in Austin is booming; with bars and restaurants everywhere. I had the opportunity to visit several while I was there; I can honestly say I didn’t have a single bad meal. I don’t know if it was because I was on vacation or luck was smiling on me, it seemed that the food in Texas was awesome. The service was also unusually good. Maybe people are just friendlier there? Do they have that Southern Hospitality thing going? I don’t know. As I was socializing I didn’t get the opportunity to blog about each place I was eating so let me tell you some of the standouts (these are in addition to the full reviews I did). 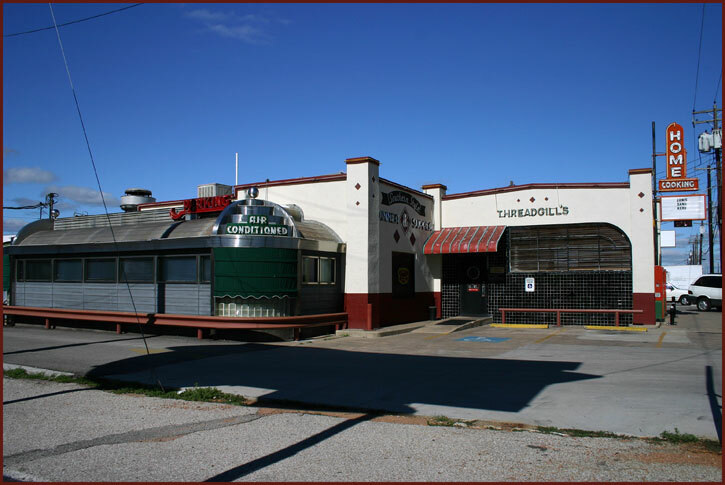 Threadgills: This place looked like it was built around an airstream trailer. It was great. I ordered cowboy caviar, and fried green tomatoes. I also tried their chicken fried steak. I am in love with fried green tomatoes. I never thought much of the idea, but the taste – WOW! I am going to have to make these as an appetizer at my next party. The restaurant itself was a mix of a diner and how I envision a honky-tonk bar. For a California Girl it was really fun. The chicken fried steak was good, though I have had better elsewhere. Did I tell you how much I loved the Fried Green Tomatoes though? 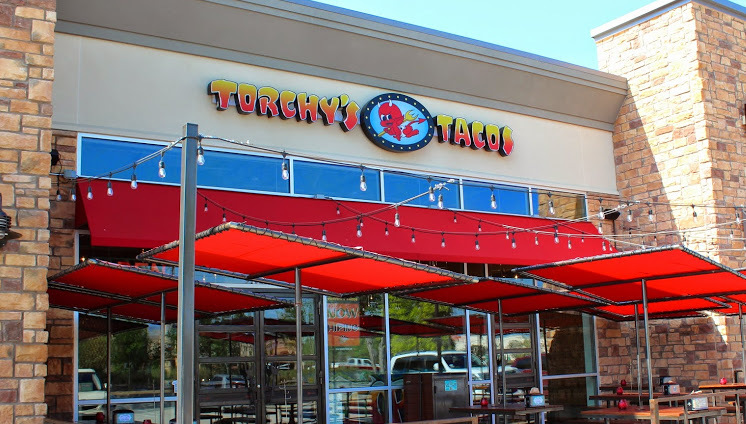 Torchy’s Tacos: The naming of tacos as the Democrat and the Republican cracked me up. The Republican had a sausage interior like a spicy Polish sausage. It was a bizarre combination but somehow it worked. I ate a Democrat taco and a green chile pork taco; both were delicious. The Democrat was a base of Barbacoa Beef. The flavor was wonderful, and I can see why the TripAdvisor reviews are as good as they are. The interior was modern and funky. I tried to get some shots on my camera phone, but the lighting wasn’t cooperating. The food though was good and inexpensive. Z’Tejas: This was an upscale Tex-Mex place that had great quality food, in a nice sit-down atmosphere. I opted for the three tacos à la carte. They were so flavorful and filling that I only needed two. I also enjoyed the flavor of the salsa that was served with the warm chips on the table; smokey, a little sweet, with a kick at the end. Stinson’s Bistro: I met the owner’s parents on the plane flying into Austin and I just had to try it. The coffee was wonderful and the atmosphere was so cool. I loved the entire style, and the hip/funky feel. Before I visited, I thought it was only a coffee shop so I had already eaten. The food looked wonderful though and I have it on my list of places to visit when I am next in town. I wish I had taken more photos of this place; sadly the ones I took were too dark to post. The coffee was outstanding. A much-needed latte pick me up to give me the energy to visit the beautiful sites in Austin. Dos Salsas: Fantastic shrimp enchiladas and margaritas highlighted this evening’s meal. Everything from the green rice, to the beautifully seasoned pinto beans was wonderful. This place isn’t gourmet or classy; it’s one of those family staple places that you get good food for not a lot of money. We did manage to drink a couple of margaritas with a sangria swirl. I was feeling no pain after that. 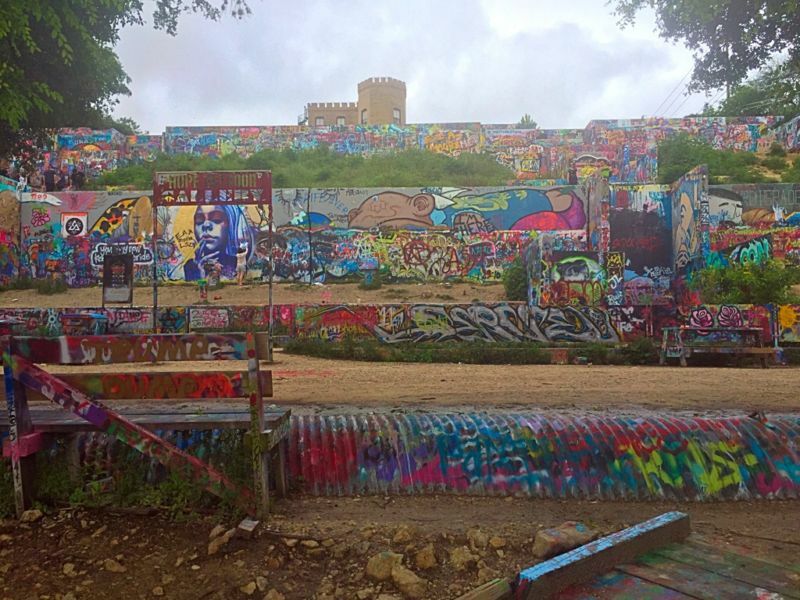 The Graffiti Park. What a unique idea to make a place where people can come and create their art and be seen. The walls were vibrant with colors and art; I loved it. Unfortunately, the weather wasn’t that great for photos. 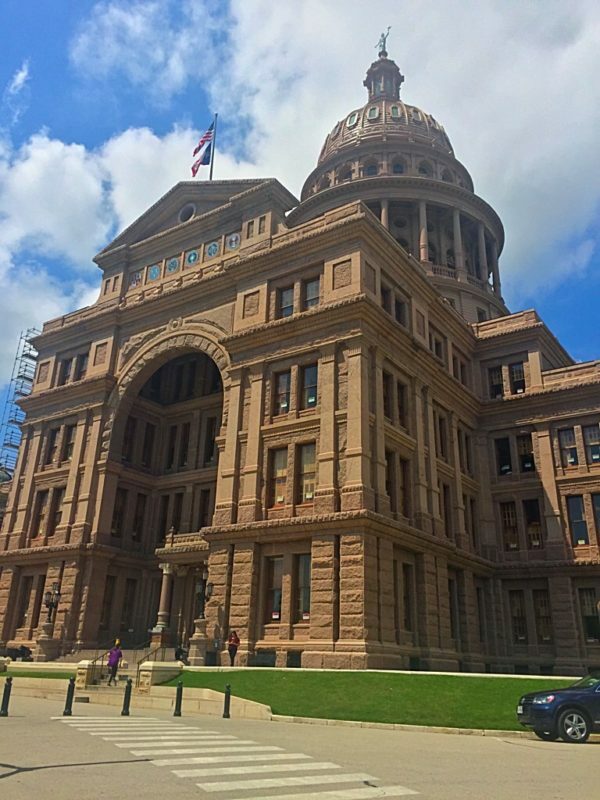 The State Capitol building. Gorgeous! I was so impressed by the architecture and the majesty of this building. 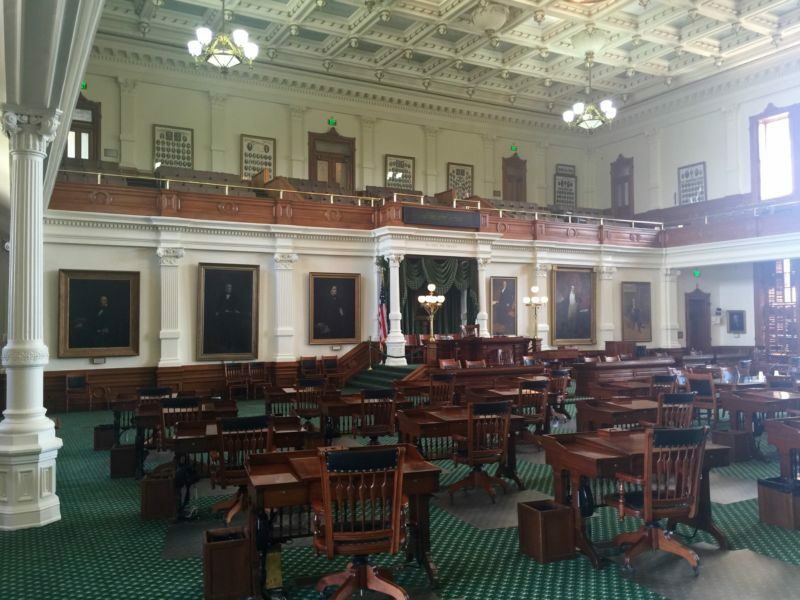 I did get a chance to peek inside and visit some of the interior chambers. The woodwork and the flooring demonstrated that we have a great level of craftsmanship here in the US. The Bullock Museum. Here I learned about the history of Texas. It was a small, modern museum talking about how tough it was really to settle Texas. I am told that the IMAX there is particularly impressive. I didn’t want to take photos as it is a museum, but the link will give you an idea of how great and interesting it is. Ann and Roy Butler Hiking Trail at Lady Bird Lake. 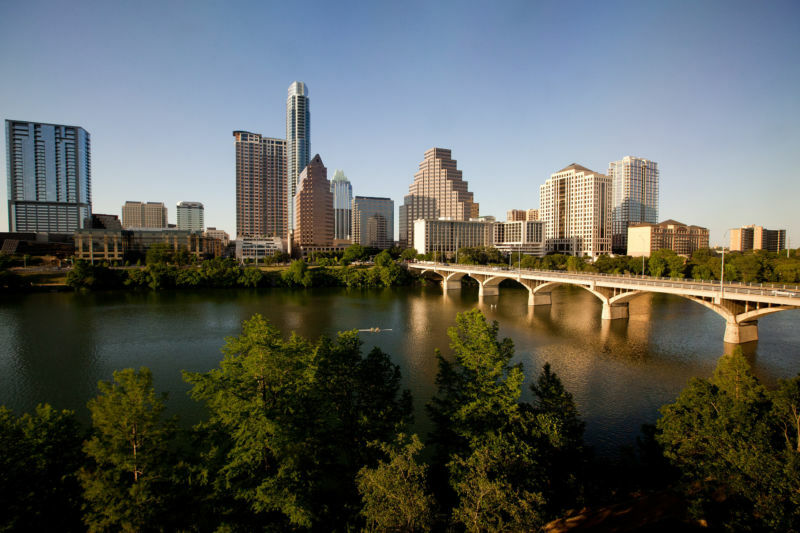 I am told this is the real heart of Austin; its pride and joy. I can see why. We saw plenty of people enjoying the gorgeous day; running or strolling down the trail. Families were playing in the park. 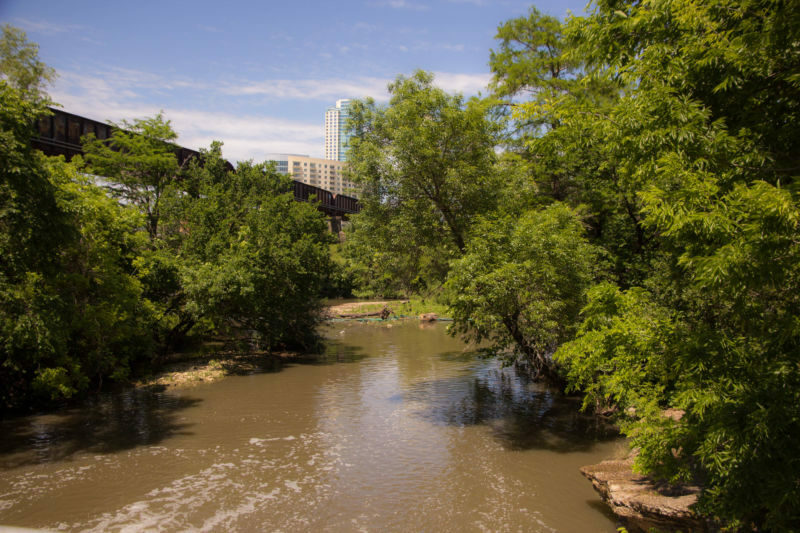 It was delightful to see this side of healthy, environmentally conscious Austin. The sleepy Western desert town of my imagination doesn’t exist. In fact, I found no one dressed in Western wear; no cowboys to be seen. Only one person said: “Y’all” to me the entire time I was there; I was a little disappointed in that though. Come to think of it, not many people had a distinguishable accent. I didn’t get out to experience the music scene, but it is on my list for next time. I couldn’t fit in the entire list of things of things I wanted to do in my week, but I sure tried. I guess it will just make me go back and visit soon.